Keep your iPhone XR safe and secure, while keeping your personal cards close with the deep teal SurfacePad Leather Cover from Twelve South. This cover is made from durable, full-grain leather that will naturally patina over time. 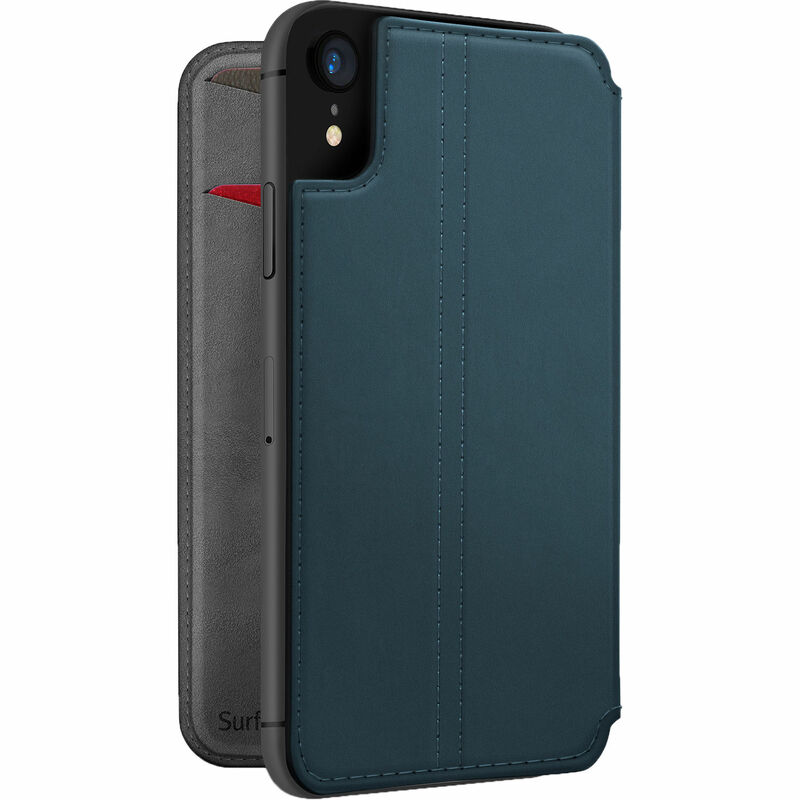 The leather cover is designed to protect your iPhone XR's screen from nicks and scratches with a stitched seam for added sturdiness. Along with basic protection, the SurfacePad for iPhone XR offers automatic wake and sleep functionality when you open or close the front flap.